Remove the seat back carpet. Remove the rear seat center head restraint, if equipped. Disengage the J-channel retainers from the seat back cushion frame. Remove the hog rings from the under side of the rear seat back cushion cover. Pull the cover away from the pad to disengage the hook and loop retainers. 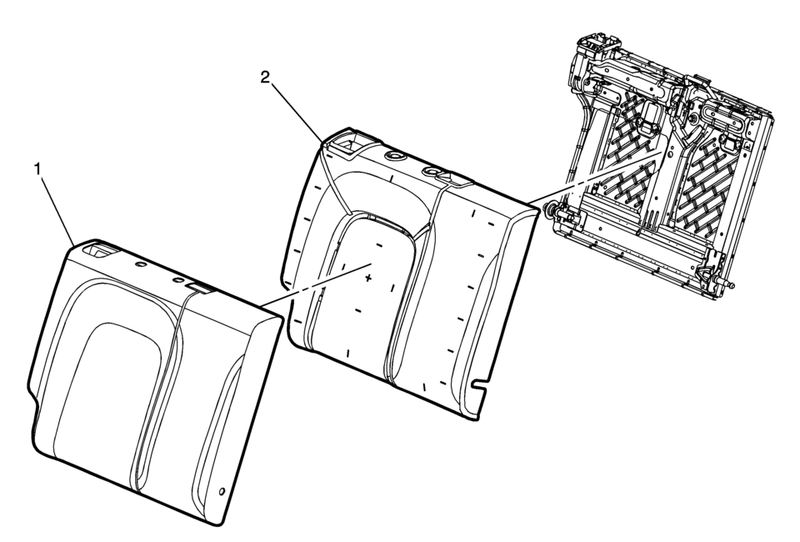 If replacing the seat back panel, transfer components as necessary. When installing the rear seat back cushion cover, pull the cover tightly in all corners to ensure that no creasing occurs.